What is your specialty on the team? I'm an all-rounder, but my biggest strength is my climbing ability. What is your biggest achievement? 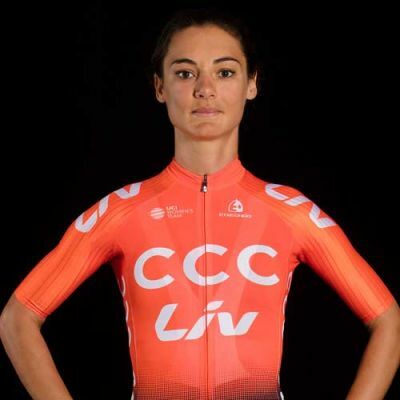 I've won some races and had many podium places in my career thus far, but my podium at Giro Rosa in 2018 was a dream come true. What is your biggest non-cycling achievement? Recovering from a very serious head injury in my final year at school (the doctors said I would never finish school) and going on to complete a degree in Chemical Engineering. Do you have another job outside of racing? 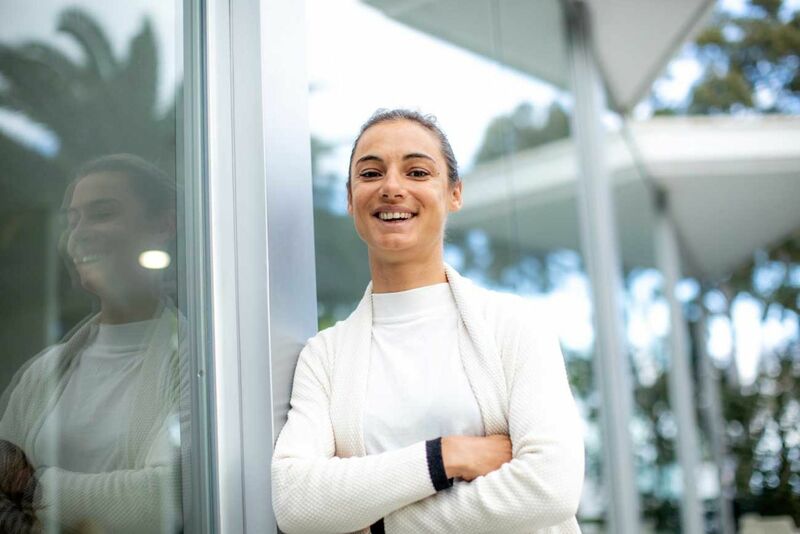 I'm a qualified Chemical Engineer pursuing a career as a professional cyclist. I've been cycling full time since turning pro after I completed my studies at the end of 2009. This year I started a business together with my family, we have a country B&B and cycling tourism business in Banyoles, Girona, Spain. What is your professional goal for 2019? To grow as a person and cyclist. To win a World Tour race and to enjoy a successful season with my new team. What do you love about cycling? When I ride my bike I feel happy, I feel strong, I feel free ... I love exploring the world by bike and meeting new people along the way. Why do you love riding for Liv? I love that Liv is a purpose-driven brand. 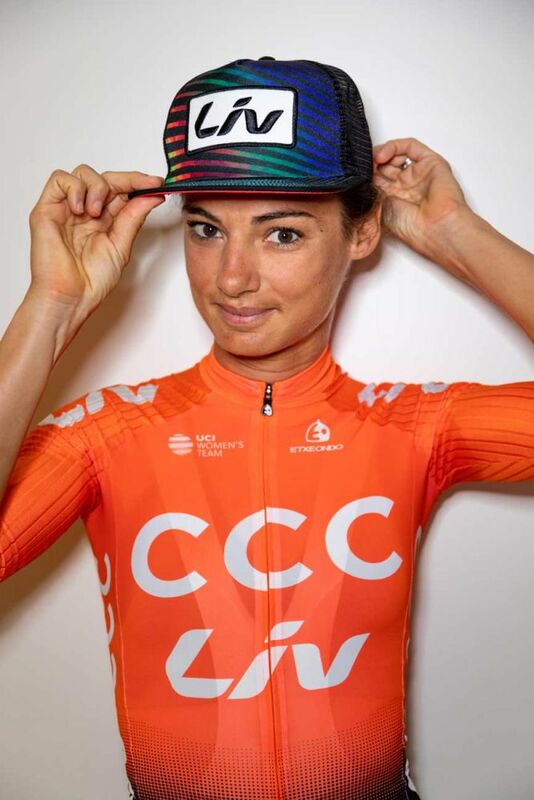 As a purpose-driven athlete, I feel a great connection with the Liv brand and I hope to help Liv achieve their ambition of inspiring more women to ride bikes. What is your favorite place to travel? Since I live in Europe now, I love traveling back home to South Africa to enjoy my beautiful home country. What is your favorite food? I enjoy eating wholesome foods from all different parts of the world. I don't like fast food at all. Who is(are) your favorite riding partner(s)? My favourite riding partner is my husband, Carl. ... finding ways to move women's cycling forward! I don't have a bucket list. I like to live in the moment ... I find that brings me the most happiness and contentment. Who taught you how to ride a bike/ got you into the sport of cycling? My husband Carl introduced me to competitive cycling. When I met him at university he was a serious triathlete. At first, I tried my hand at triathlon, but I'm not a very fast swimmer. Then I tried duathlon, but after numerous running injuries, I focused on cycling ... a decision I will never forget. I only started cycling competitively at university, so I'm very grateful for all the time and energy Carl put into nurturing my talent on the bike, and helping me to learn and improve. I am the cyclist and person I am today because of all his love and belief in me. Through my cycling career, I have grown in character and confidence, and I've become a stronger woman who can positively influence the world around me. Have you taught anyone how to ride a bike or introduced someone to the sport? Cycling is my passion. Inspiring others to find their passion and to pursue it is what motivates me to continue to push myself to the limits every day. It always touches me to read messages from people who have been inspired in some way by me sharing my stories, triumphs, and hardships. How do you plan to pass on your love of cycling in 2019 and beyond? Together with my family, in 2018 we opened a Sports Villa and Cycling tourism business in Banyoles, Girona where we can share our passion for cycling and for the amazing area we live in. We love hosting people from all over the world and from all different walks of life who share our love for cycling.